Just updated both the Ultimate and Free versions to 1.3.0! Check it out and enjoy! More to come soon! I also tweaked the info pane a little bit to better set off the sections. This area still needs some work. There’s also a TODO that roughly outlines features I have planned (or at least thought about) for future versions of the Scalculator. Some of these I have implemented before in past versions, so I have an idea of how to proceed; and some will be brand new. Alright! 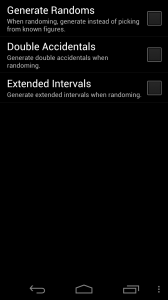 So, I put up the new Scalculator – Free Edition on the Android Market! It has all the functionality of the Ultimate Edition, so just check out my last post to see what’s inside. Only difference is the Free Edition has an ad across the top. 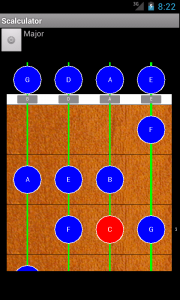 I’m un-publishing the free Guitar and Keyboard editions, because it’s easier to simply maintain a single Free edition that combines both of those versions – especially since I’ve figured out how to re-use the code base more efficitently! Scalculator Ultimate Edition 1.1 Released! One of the challenges I keep running into is how to organize and present all the information, and a good first step is to maximize the space available. To this end, there’s no more buttons or information displayed on the “instrument view”, it’s all full screen – now there is a small icon at the center bottom to pull up a “information pane” (SlidingDraw in Android-speak) where all the information and options lie. …And here’s where everything lives now, there’s the basic information at the top, like scale name, notes, formula, and any comments. Below that is a bunch of buttons — that need styling and better icons I know — which expose some of the true utility and power of the Scalculator. These things might move around a bit in the future, but I like the basic arrangement. Let’s look at those options closer. 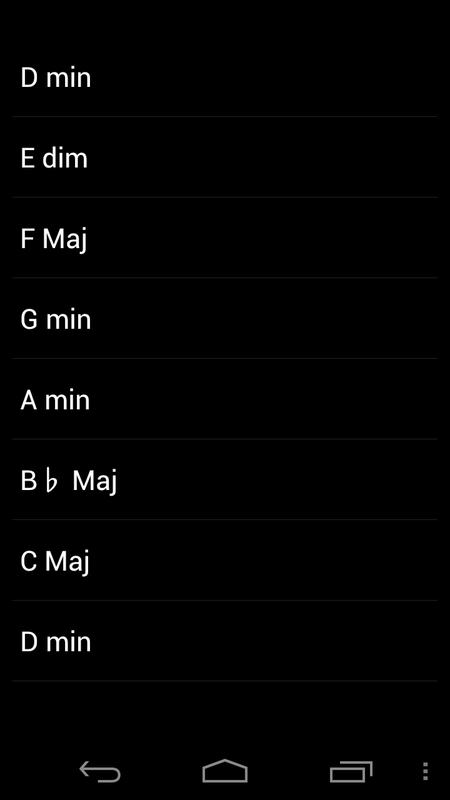 This just brings up possible root notes and scales/arpeggios to display. Eventually I’ll work up a nice cool way to select these things, rather than the boring list. For now, it’ll do. These are 3 different ways to generate additional figures based on the selected one. 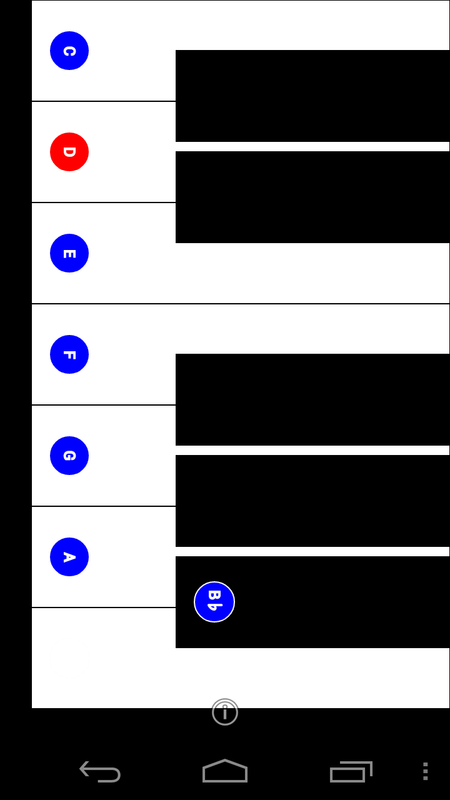 Harmonize – Loosely described, this generates chords based on the scale – by stacking a certain amount of notes separated by a certain interval. 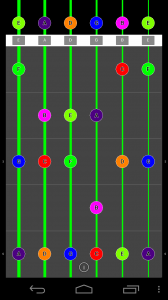 Normally, you might do this by stacking thirds against the diatonic scale, but the Scalculator will stack any intervals you like against any scale! 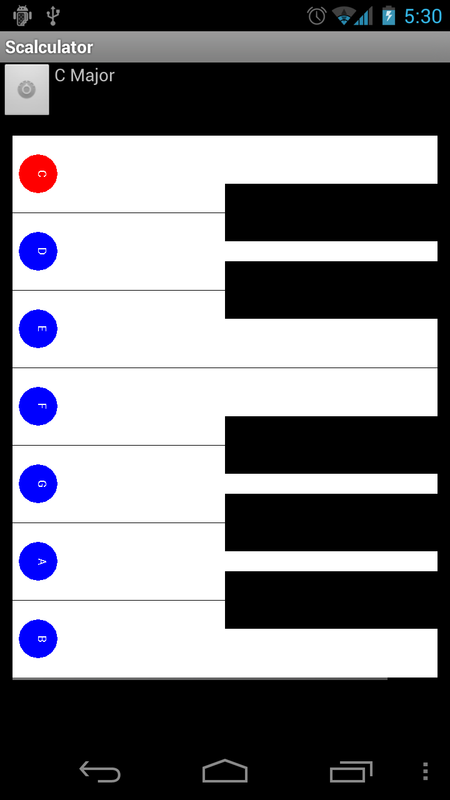 Modelize – This generates “modes”, either “by key” or “by root”. In common terms, you might get the modes of C Ionian by key: D Dorian, E Phyrgian, and so on. By root, these would be C Ionian, C Dorian, C Phrygian, and so on. 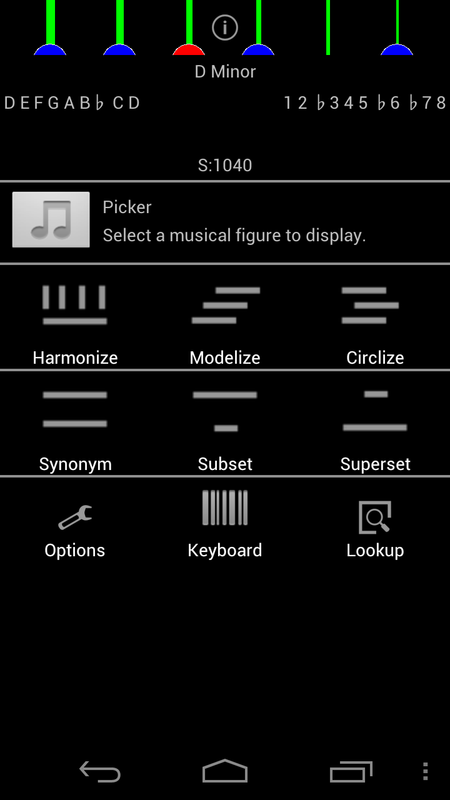 And, of course, you can “Modelize” any figure. 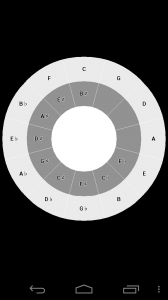 Circlize – This generates a “circle of intervals”, like the common “Circle of Fifths”, but against any figure and on any interval. Hopefully, it will end up back on the starting root note! Sometimes the results of these machinations will result in un-named figure, but the Scalculator will still map out the results for you. These options basically show you things are the same, contain or are contained by the selected figure. 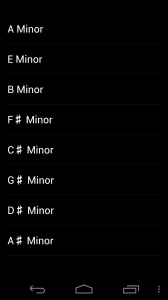 Very helpful to finding out what chords are in what scales. Once you know what the Scalculator can do, the options are pretty self-explanatory (to me, at least). 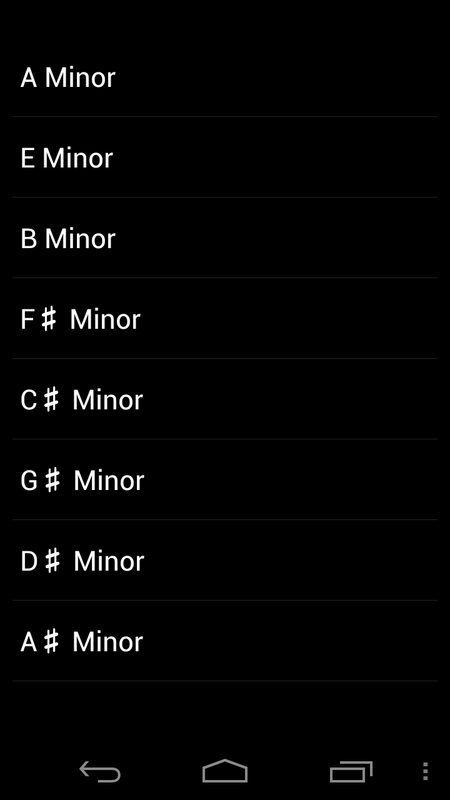 You can play with the interval selections to harmonize on and so forth here – changing some of the advanced options will probably result in lots of unknown figures, but that’s all part of the fun! 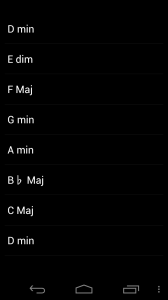 You can easily toggle between Fretboard and Keyboard display according to your desired preference. 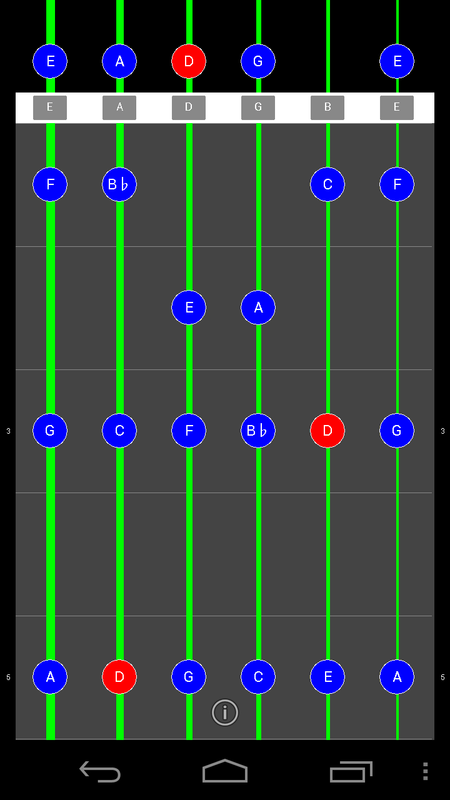 When in lookup mode, the little “circle i” will change into a question mark, and you can tap the frets (or keys) to enter in some notes to lookup. Once you are done typing in 3 or more notes, just pull the info pane up again, and the Scalculator will try to lookup the notes! Try to find a scale. 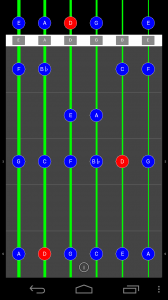 Try to find an arpeggio. 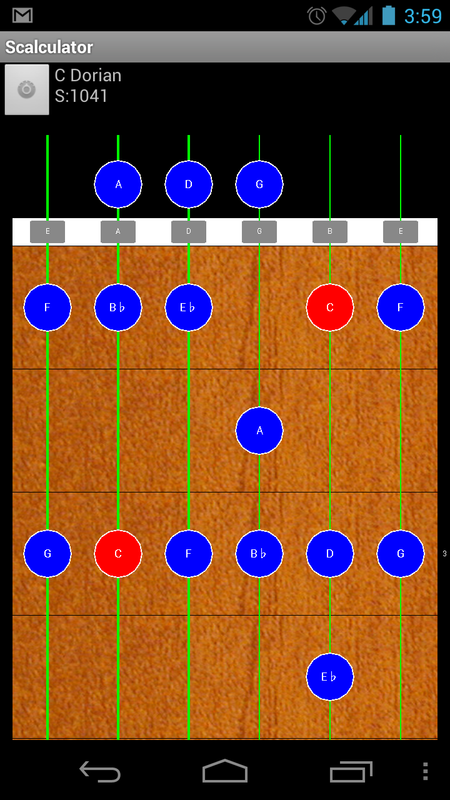 Try to find inversions of an arpeggio. Give up, and just show the notes. Well, that’s it – a pretty in-depth look at the Scalculator! Next up is making an ad-supported version and a few days of bug-squashing. And, finally, source code is up as well! Scalculator – Ultimate Edition Released! The trilogy is complete! 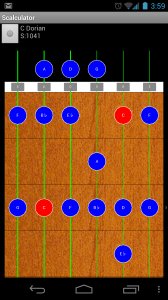 Scalculator – Ultimate Edition is up on the Android Market! I did roll in a few very minor feature additions, just a basic displaying of comments (for scales and arpeggios) and alternate and full names (mainly for arpeggios). 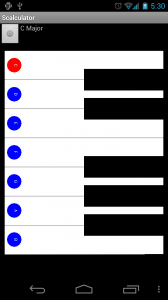 You can see that up in the top left corner, referencing the figure in Slonimsky’s Thesaurus of Scales and Melodic Patterns. 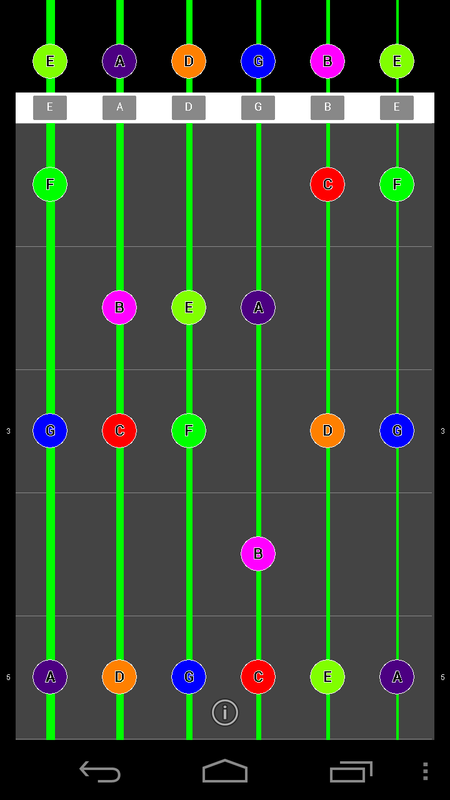 Beyond bugfixes, I want to add “reverse lookups” – this is where you can give a set of notes and Scalculator will return possible scales/arpeggios. I’ve implemented this several different ways in the past, so I have some ideas on how to apply the concept to mobile devices. Another thing I’m considering is adding sound. That’s within the “Scalculator family” – I have a few ideas for some other apps as well. I hope you’ll give the Scalculator a chance, in whatever flavor suits you and let me know what you think! 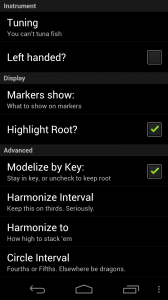 Scalculator – Keyboard Edition v1.0.0 released! Hooray! 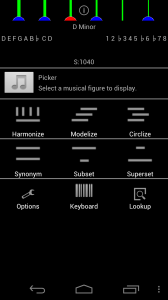 Scalculator – Keyboard Edition is up on the Android Market! This is the keyboard/piano flavor of the Scalculator, and I found a lot of things to change up in the Guitar Edition once I get back to it. It’s also the first time I had an actual Android device to test things on – I got my Galaxy Nexus a couple of days ago. It’s a great phone, but the thing I got it for was to speed up development and it’s roughly 8 million times faster than the AVD. Source code is up on GitHub if you’re interested, and please give the Scalculator a try if you play music and see if it’s useful!